This display features ten flags of our country from our nation's birth to the present day. 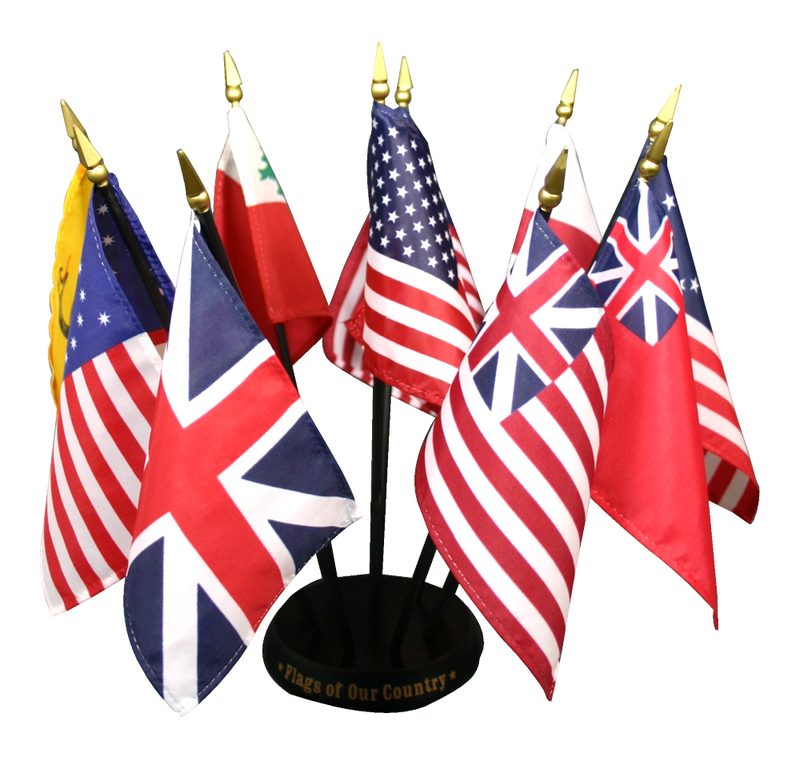 The set is indivdually boxed and includes a black wooden base that holds all ten flags. Flags included in set: St. George Cross, King's Colors, British Red Ensign, Continental, Gadsden, Grand Union, Betsy Ross, Bennington, Star-Spangled Banner and 50-Star Old Glory.